Everything You Need To Know About OpSail 2012 ..... 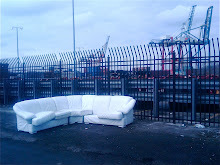 Via Red Hook's PortSide New York! 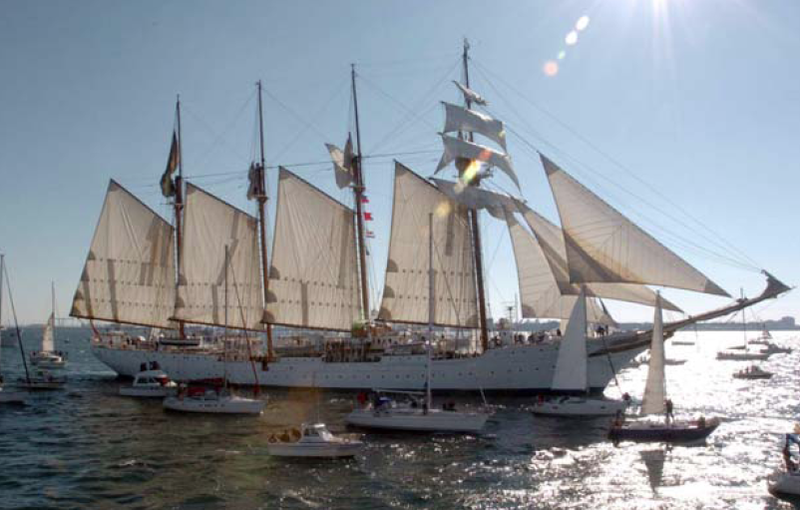 This Memorial Day weekend will offer many great events, but greatest of all will be OpSail 2012. OpSail 2012 is "the 2012 Operation Sail Parade of Sail and U.S. Navy Parade of Ships .... featuring some of the most magnificent sailing vessels in the world, and a parade of military ships representing the U.S. Navy and coalition navies from four countries." The first event is tomorrow, Wednesday! - This, via PortSide New York: "Wed 5/23/12 8:00am the ships will cross under the Verrazano Bridge. Then, lead by the tall ships, the flotilla of twenty-seven vessels will sail past the Statue of Liberty and proceed up the Hudson to the George Washington Bridge. There the tall ships will turn and head back down the river." Now, if you really want to check this all out, the best place to be will be Brooklyn, and specifically, Red Hook. 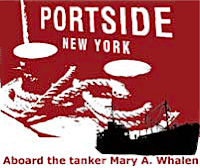 PortSide NewYork has done an incredible job of putting all the information you'll need together on its web site (here). "Brooklyn rocks! 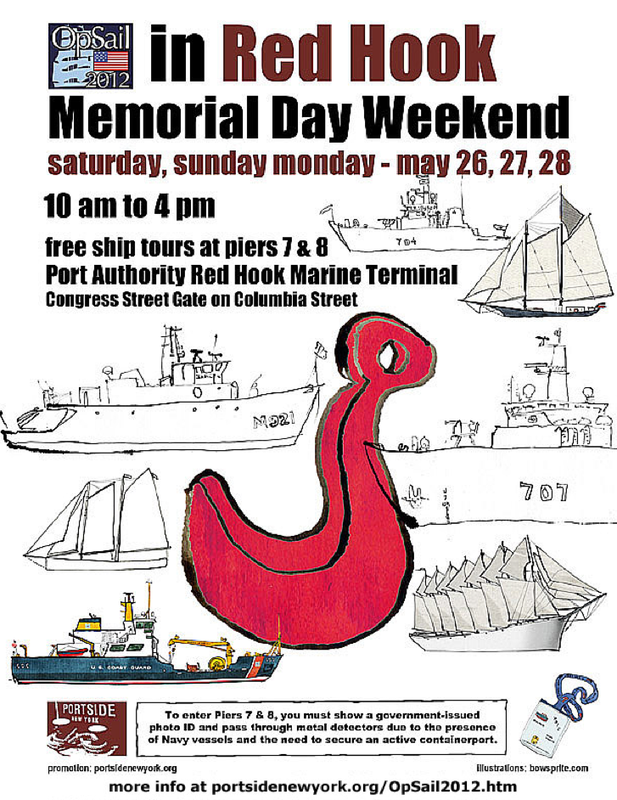 We will have more ships than at the two other OpSail locations in NYC, Manhattan and Staten Island. Ten ships representing eight nations will be open to the public." Click on the poster (below) to make larger. 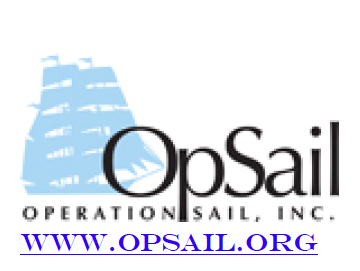 PortSide says, "OpSail, the nation’s premier tall ship event, began in NYC 50 years ago, but has not been in these waters since 2000." 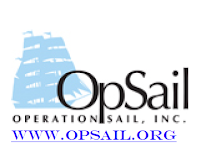 PortSide NewYork Director Carolina Salguero said about OpSail 2012, "PortSide is all about connecting people and ships, so we are very excited to have OpSail visit NYC--and especially Red Hook. 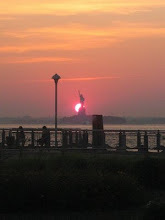 We are proud of Red Hook's assets that make us a perfect home for OpSail. We have deeper water than Manhattan and piers built for ships. PortSide salutes the Port Authority for embracing this historic maritime event and opening the container-port to the public. We stand by to help in whatever way possible. We hope thousands will come enjoy these ships, discover the unique appeal of our area and come back again." 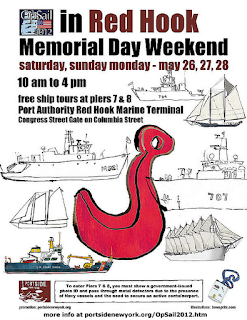 The only disappointing thing about this event is that the most obvious location for ships to dock, the Atlantic Basin - the historic, actual tall ship harbor behind the Brooklyn Cruise Terminal, right in the heart of Red Hook - will not be utilized during this event. 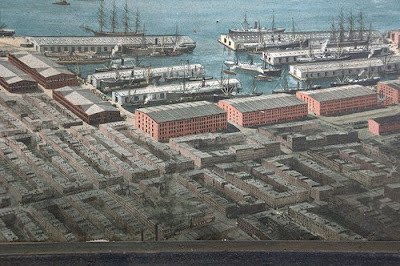 The irony is that PortSide New York was also to have a home in the Atlantic Basin, that is until this year when the NYCEDC and the Port Authority had a change of heart. Since the decision was made to exclude PortSide and its ship, the Mary A. Whalen, from this location, PortSide has been scrambling to try to find an alternate location for their activities on the Brooklyn Waterfront - preferably and hopefully in Red Hook. So far they have a temporary storefront at 145 Columbia Street, in the Columbia Street Waterfront neighborhood, but as yet, no permanent maritime home has been found. It's a shame that the Atlantic Basin won't be "activated" during this event - but it's even more of a shame that this historic harbor, right in the heart of our neighborhood, isn't being activated at all. Plans for the use of the Atlantic Basin have been up in the air for years. Before PortSide was promised the use of part of the basin and Pier 11, there was a plan for using the space for a marina and boat building. Then there was the potential for it to become the home of NY Water Taxi. 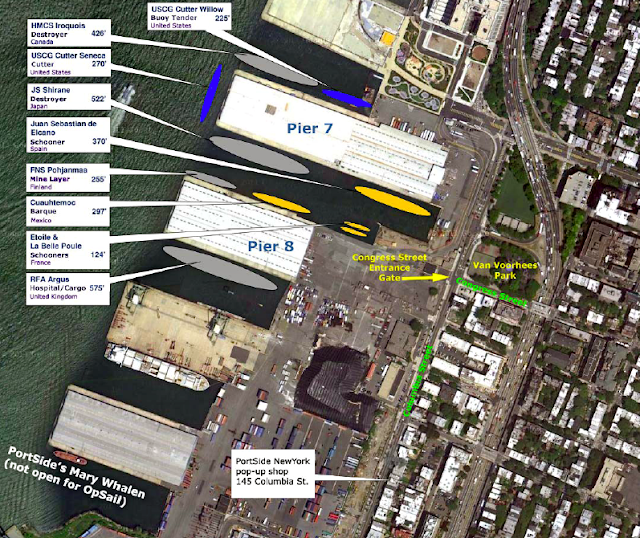 The NYCEDC has put out RFPs over the years to use the basin for everything from a "tug boat parking lot" to "commercial boat tie-up". Still, nothing. Of course, the beer distributors Phoenix Beverage's is using the Pier 11 shed adjacent to the Basin for its garbage and recycling activities - this is the shed that was going to be used partially for PortSide's home. But nothing is happening in the harbor itself - the "Blue Space", as PortSide calls it. It's a shame. Regardless, this event will be a great one for lovers of ships and residents craving more activities on our waterfront. So, take PortSide's information and get out there and make the most of it. Enjoy it. And perhaps imagine what might be possible on other parts of our waterfront.